Home/Posts/Copper Gutters Cost: Are They Worth It? 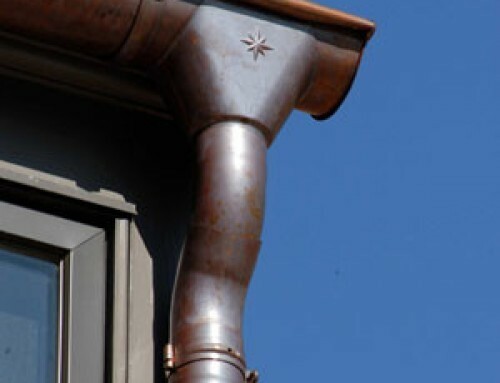 So, you’re thinking about copper gutters for your home but you’re not sure about the cost. 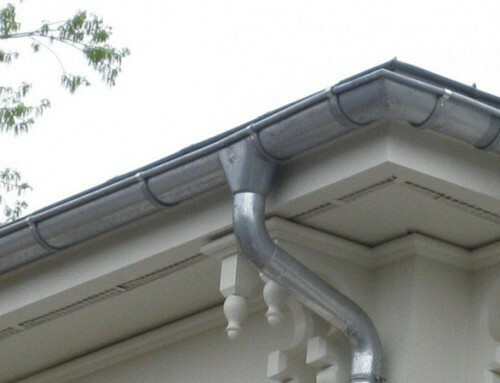 You may have heard that they’re more expensive than standard aluminum gutters. But, as with most home improvements, sometimes the added investment is well worth it. Aluminum gutters are the standard industry choice because they’re cheap, reliable and easy to install. But, not everybody is motivated by price or what would be considered ordinary. Some builders are focused on offering quality and prestige – and there is plenty of demand for that in the marketplace as well. Based on that understanding, the real question you’ll need to ask yourself at the end of the day is whether or not it’s worth the extra investment. 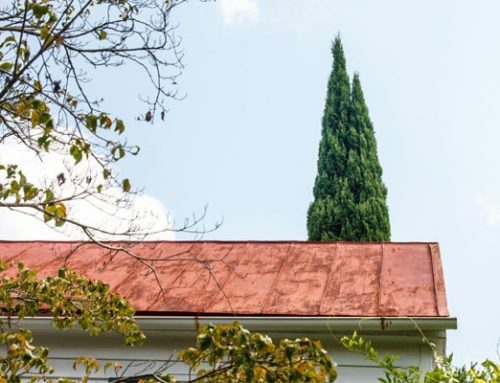 You may have already seen copper gutters on another home, or in an architectural magazine, and been drawn to the dramatic elegance, or added curb appeal that it brings to almost any home. And on some homes it does truly accentuate the design and color in a very eye catching way. For many, the appeal is more than just cosmetic because copper is a much higher quality metal than aluminum. It has its own unique properties that make it ideal for those interested in only the best construction materials. 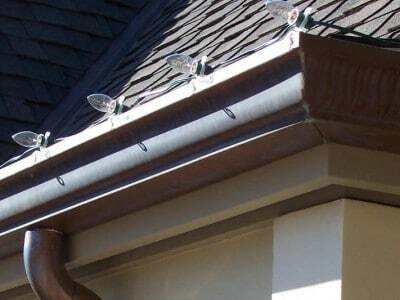 Your decision to install copper gutters on your home should be based on a few important considerations. The first, of course, should be design. 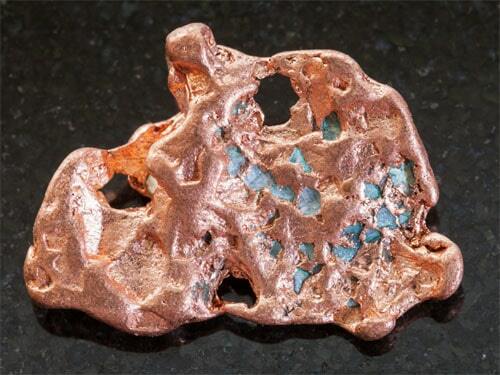 Will copper go with your house? If you live in a cooler, cloudier area the natural copper color will turn to a rustic green within a couple of years. For those who reside in sunnier climates, the oxidation process will take generally much longer. 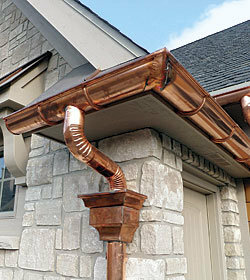 Secondly, you might want to be certain that you’re allowed to install copper gutters on your home. Many HOA’s have very strict covenants and rules about how you may improve your home, so as to maintain a desired continuity in your neighborhood. 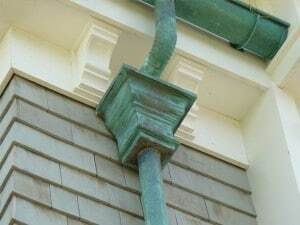 If you see other houses on your street with copper gutters, chances are you’re good to go. Otherwise, get out that HOA handbook, if you can still find it. Finally, there’s the ‘X’ factor. 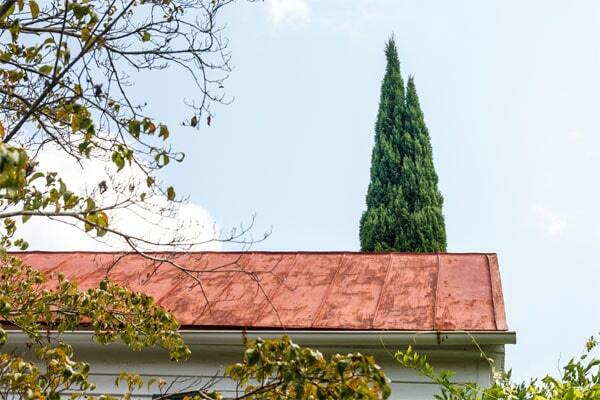 How does it make you feel when you imagine your home adorned with copper gutters? If you can imagine how greatly it will enhance the curb appeal of the home – and, perhaps, how envious your neighbors will be – that may be an indication that copper gutters are for you. Meet with a professional installer, or three, to get an estimate and consultation to find out if it’s the right choice. Also, keep in mind that with copper gutters, you should be looking for a complete gutter system that includes copper downspouts, copper downspout brackets, and the like, for a proper installation. Copper likes to be attached to other copper, and this gives you the best results. Berger is a company that integrates the complete system and is worth a look. 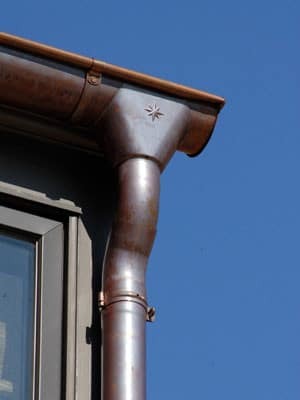 For more information on copper gutters, contact Kobett Metals.